Costa Rica is often dubbed the best honeymoon destination on earth, thanks not only to the insane beauty of the wilderness in this wonderful home of our but, primarily, for the sheer number of options on offer. You see, it doesn’t matter if you’re dreaming of a 5* luxury honeymoon, an adventure-packed honeymoon, a rustic authentic honeymoon or a blissfully relaxing honeymoon in Costa Rica – what it is that you dream, you will find it here and that’s the country’s biggest allure. There’s a Costa Rica experience for every honeymooning couple and, more often than not, intrepid couples combine all the elements to create a stunning itinerary that includes luxury, adventure AND romance, all in one unforgettable week (or more!) of travel. Here are some of our best Costa Rica honeymoon ideas for 2019. Costa Rica honeymoons don’t have to cost a fortune (in fact, they most often don’t) and if you’re after an adventurous and romantic honeymoon that offers outstanding value, then this country well and truly has you covered. A week long barefoot romance honeymoon in Costa Rica can include four days of adrenaline-pumping activities like kayaking, zip-lining, waterfall chasing and whitewater rafting, followed by a few days of complete relaxation (except for that stint of wicked surfing, that is) in one of the Pacific Coast’s dreamiest beaches. 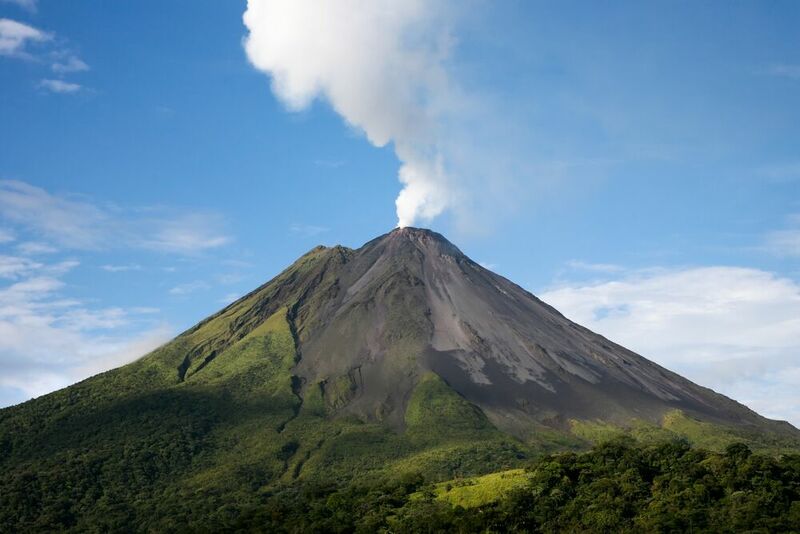 For the sheer convenience, beauty and value, we love the region of La Fortuna, home to Costa Rica’s most famous volcano (Arenal) and a compact area that boasts hot springs, waterfalls, hiking trails, raging rivers and amazing outdoor activities. 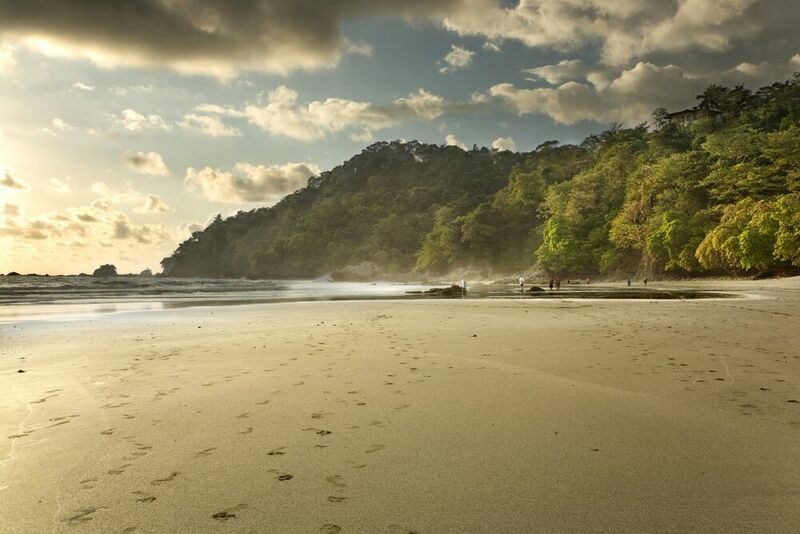 For your honeymoon beach stint, we recommend the Nicoya Peninsula, where gorgeous beach bungalows and endless stretches of glistening beaches await. Keep your distances short and your accommodation choices at 3* and a barefoot romance honeymoon in Costa Rica can cost as little as $200 a day, ALL included, per person. That’s crazy value in anyone’s books! At the of the other end of the spectrum, Costa Rica offers purely luxurious honeymoons, the kind that are ideal if you’re planning to indulge all your senses. The country is dotted with an impressive array of 5* resorts that are ideal for honeymooners. Not necessarily gargantuan and impersonal all-inclusive mini-villages but the more exclusive kind, where romantic gourmet dining, indulgent spa treatments, floodlit hot springs and an astonishing property make you feel like honeymooning royalty. One of our favorite gems for this kind of luxury honeymoon is the Springs Resort & Spa, an oasis of exquisite calmness and indulgences. Perched atop a cliff overlooking the luscious Arenal Volcano, the Springs is jaw-dropping beautiful and you’ll want at least 3 days here to soak up all the resort has to offer, including hiking around the volcano. For your relaxing beach days, we recommend the southwest, around the Marino Ballena National Park. The beaches this far south are postcard-perfect and private villa rentals here are unparalleled if luxurious stays are on your wish-list. Enjoying sundowners whilst soaking in your private pool overlooking this exceptional stretch of Costa Rica coast really is a honeymooning dream. Active couples can indulge in snorkeling on Caño Island where a wealth of marine life thrives, as well as thrilling hiking in Corcovado, one of the world’s most bio-diverse nature reserves and one of Costa Rica’s most remote and spellbinding wildlife havens. We find 8 days to be the ideal time-frame for his kind of luxury Costa Rica honeymoon itinerary, so see how we bring it all together, right here. If you’d love your married life to be all about unforgettable adventures then you’ll no doubt want to know how to get off the well-beaten-path in Costa Rica. Let us tell you: options are endless! 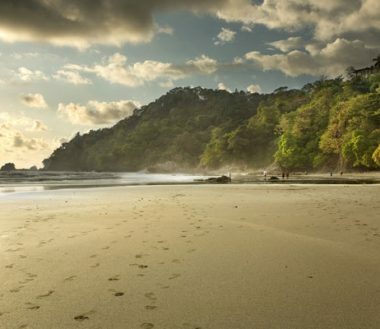 Not only does Costa Rica boast an exhaustive choice of remote locations (think the above-mentioned Corcovado in the Osa Peninsula as well as the outstanding Tortuguero National Park on the Caribbean side of the coast) but is also home to a collective array of remote lodges set in glorious nature reserves. These places make you feel like you’re a million miles away from civilization, lost in a wilderness paradise that’s disconnected from the outside world – whilst still having so many options for fabulous adventures at your fingertips. If this idea gets your juices flowing then follow our lead and set your sights on glamping adventures at the Rafiki Luxury Lodge, where you’ll only be half-an-hour away from all the action of Manuel Antonio but cocooned in a romantic world all of your own. Rafiki (which is Swahili for ‘friend’) is a family-run treasure of a place, which brings together the safari experience of Africa into the unspoiled wilds of Costa Rica in the Savegre Valley, revered for off-the-beaten-path rafting, kayaking, hiking and canyoning. We pick our two favorite hidden treasures for an Off The Beaten Path Honeymoon you’ll never forget. 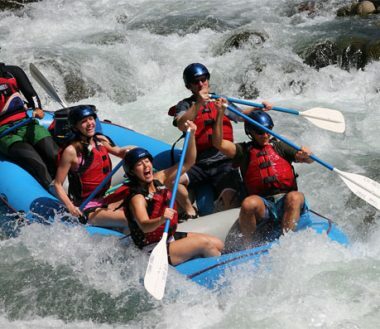 Thrill-seekers with adrenaline on their minds and adventure in their hearts will want to hone in on more active honeymoons, including perhaps an overnight rafting trip and extreme canyoning excursions, whilst still including free time for R&R, to soak up the rays on a stunning beach or soak those weary bones in a therapeutic hot spring. If this sounds like a bit of you, we definitely have you covered! Costa Rica is for adventure lovers, first and foremost, and if you want to indulge in the craziest activities the country has to offer you may want to plan on a few extra days – both to cover greater distances and have time to relax and unwind in-between excursions. Our wicked adventure honeymoon idea for 2019 will see you start your journey on an overnight rafting trip along the world-famous Pacuare River, considered the best rafting hub in the whole country, followed by a day of sensational extreme canyoning before delivering you to the indulgent arms of the famous Tabacon Hot Springs Resort. This is among the most luxurious spa resorts in La Fortuna. Surfing, jet-ski riding, snorkeling and beach-bumming follow next, on the breath-taking beaches of Manuel Antonio. 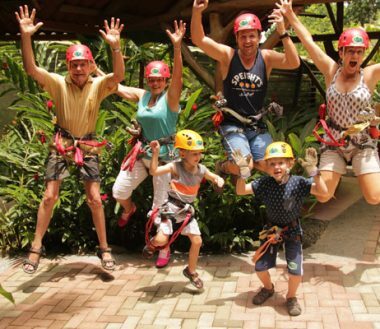 Sure, you may need a holiday to rest from your Costa Rica adventure honeymoon but if it’s thrills you’re after then you’ll certainly find plenty here. Our Total Adventure Honeymoon ideas are aimed at totally adventurous couples. At Costa Rica Rios, we have a ton of fantastic honeymoon ideas with itineraries planned to combine the honeymooning elements you crave most. Build your own trip or follow one of our suggestions and rest assured that options for customized changes are always available. Contact us to plan your Costa Rica Honeymoon in 2019 and leave it to the experts to create your once-in-a-lifetime adventure.